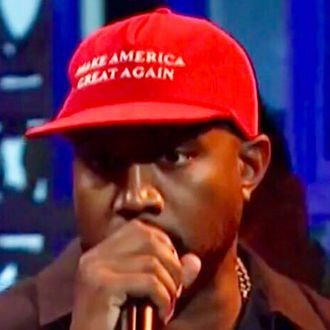 If Kanye was right that 90% of all media, musicians, and performers are liberal, as he declared in his political Saturday Night Live speech, well, then that’s a lot of celebrities who are very much not onboard with his repping the pro-Trump MAGA hat, which he referred to as his “Superman cape,” and his newfound desire to dismantle the 13th amendment, an idea which he expressed on Sunday via social media. Passed in 1865, the 13th amendment, as you might recall, abolished slavery in the United States. Chris Evans posted criticism on Twitter. Swizz Beatz, who says he discussed the MAGA hat with Kanye just last week, said that despite what West said in his closing remarks on SNL, challenging Kanye for wearing the hat does not constitute bullying. Or even the ever-hopeful Questlove. We’ll add more reactions as they arise, and they surely will. Man, just imagine the responses when Yandhi finally drops! Whenever that is. Update, October 1: Kanye will expound on his 13th Amendment musings Monday on TMZ Live, but first, he ruminated with one of their paparazzi after arriving back in Los Angeles on Sunday. Referring to his Notes app for what he wrote on the plane, he explained that the Constitution needs to be reexamined because it was written exclusively by white men, the Founding Fathers. The paparazzo notes, however, that the 13th Amendment had nothing to do with the Founding Fathers given that it was ratified in 1865. Kanye then bafflingly counters, “So [Abraham] Lincoln, this is conspiracy, but some people think that he might’ve been black. 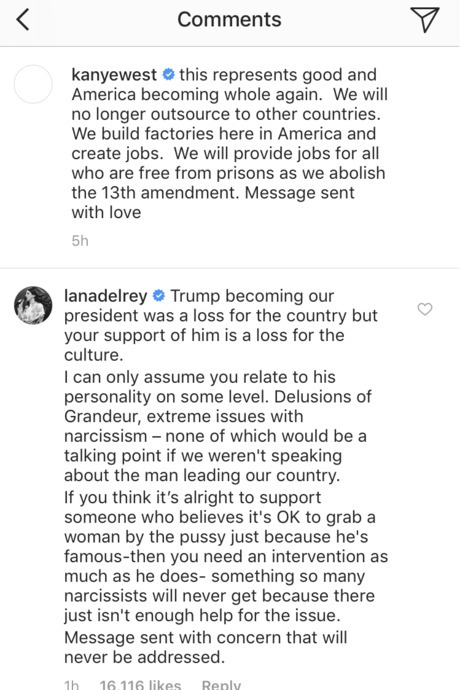 I can’t say that Lincoln was black or white.” Asked again how, specifically, he’d amend the 13th Amendment, Kanye said he’d do more research and get back to TMZ. “I won’t be beat into submission [for] having lack of information on camera,” he said. Can’t wait!